Ah, the age old question -- how often do I need to have an oil change? There are many opinions on this matter. The original belief is that you should have an oil change done every 5000 km, but now with the advent of modern vehicles that feature improved designs and thinner engine oils, oil change frequencies can be stretched to as high as 24 000 km. Many automakers cite that the ideal time to conduct an oil change is between 12 000 km and 16 000 km but newer models that automatically signal the driver to when an oil change is needed can exceed any of these set times -- which may not be necessarily good for your vehicle. Understanding the relationship between oil and your vehicle will help you make an informed choice before your next oil change in Cambridge. Oil is the very basis of what your vehicle runs on. The flow of oil can be equated to the flow of blood in the human body. It’s what keeps the mechanisms under the hood of your car functioning over time and over the distances you drive, similarly to the way that blood flow promotes breath, energy and overall vitality for the human body. Oil first and foremost acts as lubricant for the metal parts of your engine that are constantly grinding and interacting with one another. It prevents your vehicle’s parts from wearing away from the frequent heat, friction and pressure that it endures. It also acts as a cooling agent while helping to hold dirt, debris and by-products that form from combustion, away from your engine. The truth is, regardless if you have a newer or older car model, oil can get contaminated quickly with exposure to water that comes from condensation. In Canada, this is especially a concern, considering that nearly 6 months out of the year we are in a cold and wet weather season. Simply heating your engine up can release more raw fuels and increase carbon levels, while frequent short-distance driving can significantly impact condensation levels, shortening the oil change interval. What’s the best course of action then? According to driving.ca, it’s important to have an oil change done twice a year or every 5000 km-7500km to avoid condensation build up and to remove unwanted debris from your engine. Following this will give you a peace of mind, especially in the winter months, when breakdowns and engine-related issues come up often. Being proactive in this way will ensure your engine is always running optimally and will help to skip a ludicrously expensive trip to your auto repair shop. 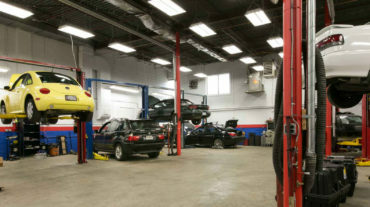 This is where we come in: we can provide you with a professional oil change in Cambridge. 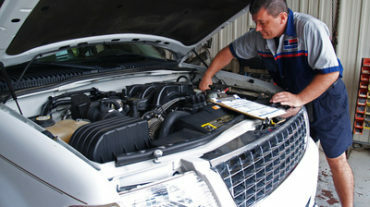 Our knowledgeable and friendly staff at Xtreme Car Repairs can offer a thorough and affordable service. We can help you with…. A detailed inspection of any related factors such as: your vehicle’s oil level, fluid levels, battery life, coolants, washer fluid, tire pressure, air filter etc. Many vehicle’s manuals instruct oil changes based on ‘normal’ driving conditions but it’s important that you look at the section that describes oil changes for ‘severe’ conditions given Canada’s climate. If you’re looking for an oil change in Cambridge to simply promote your vehicle’s health, longevity and safety, visit us at Xtreme Car Repairs today!